Wouldn’t you prefer an Absolute Edition to a Sniglets or Garfield calendar? A few birthdays ago I had an epiphany: I’m difficult person to shop for. 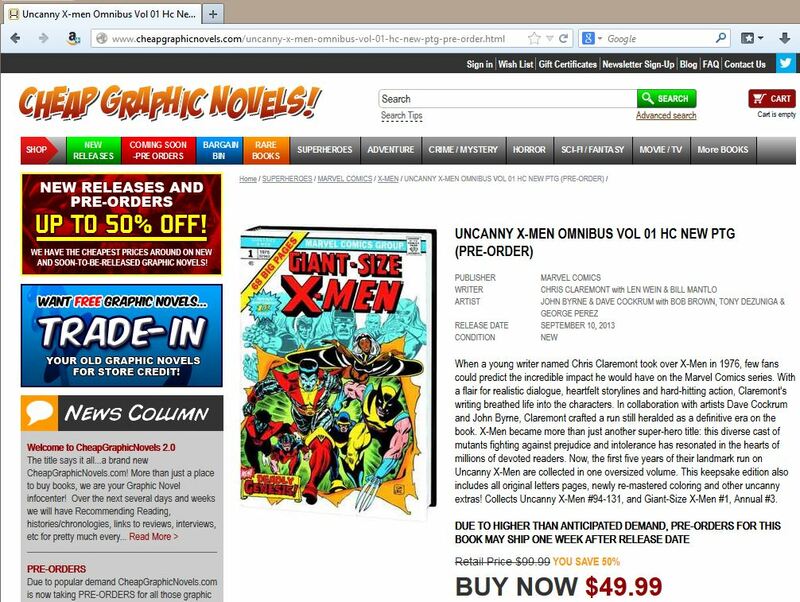 I love two things, comic books and movies. Unfortunately, nobody likes to buy those things for me out of fear that they’ll give me something that I already own. On my following birthday, when asked what I wanted, I informed people that I have an Amazon Wish List and a miraculous thing occurred as a result: I got a stack of Omnibi, hardcovers and trades that I’ve had my eye on. No gift cards, no ill-fitting clothes and nothing to return. Does this sound selfish? Or perhaps it would seem to take the surprise out of the gift-giving. I’ll accept those criticisms, but I’d say that using a Wish List is just plain practical and it removes all of the concern about getting presents for people who are difficult to shop for. For the past few years or so I’ve been telling my friends and co-workers how great Wish Lists are and how they simplify the sometimes arduous task of finding a decent gift. A few months ago, on my last birthday, I found a gift bag on my desk from a co-worker who usually gets me a certifcate from my favorite sandwich spot. She captured a picture of me being caught completely by surprise as I pulled out the Mark Millar “Spider-Man” trade. “You’ve been talking up your Wish List so much,” she said, “that I figured I’d surprise you with something from it.” I may have had to pay for my own lunch that day, but at least I had something to read while I chomped down on my turkey-pesto on focaccia. 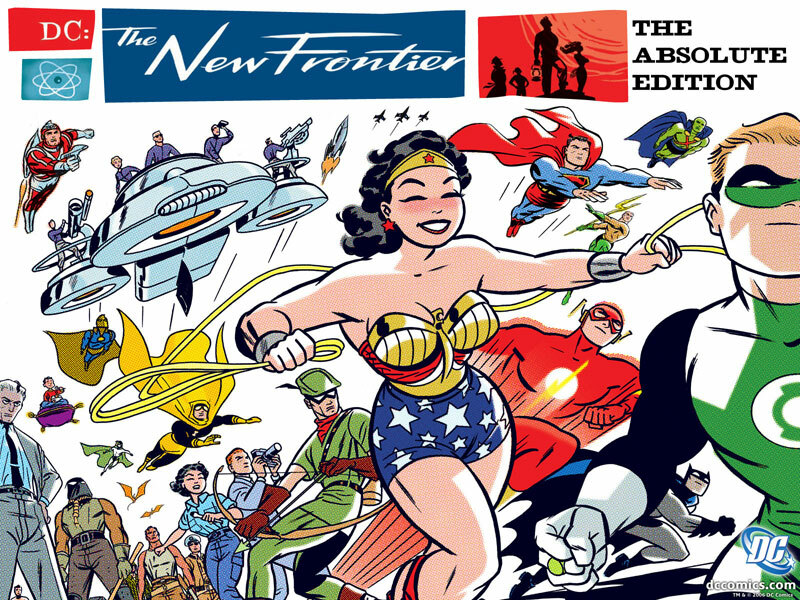 Lastly, before we get started, if you like Absolute Editions, Omnibi and other premier edition books, but you’re not crazy about the quality of some of your Amazon purchases, you’ll still want to continue reading. An Amazon Wish List can contain products from other retailers. 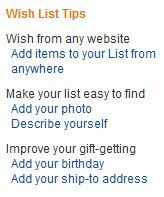 All right, let’s first walk through the basics of creating a Wish List on Amazon.com. First, you’ll need to create an account if you don’t already have one. Just click the button at the top right that reads “Hello. Sign In”, select the “Start here” hyperlink, then follow the simple instructions. Start by finding something on the website that you’d like to add to your Wish List. On that item’s page, click on the “Add to Wish List” button on the right side of the screen. This is under the “Add to Cart” button that you would normally use if you were buying the item for yourself. This takes you to the next page where you receive a message indicating that the item has been added to your Wish List. To check the items on your Wish List, go to the “Wish List” dropdown menu all the way to the upper far right of the menu. Select the “Wish List” hyperlink. This brings you to your personal Wish List page where all of your items are listed in the order you added them to your Wish List, from newest to oldest, in descending order. The item name, price and photograph are listed on the left, and the date the item was added is listed on the right. If I find a friend’s Wish List and I’m not sure if he uses it as a personal registry or just as a checklist for future purchases (many people use it for the latter), then I typically will only purchase something if it has been added within the last month or two. That’s it! The next time somebody asks you what you want for your birthday, Christmas, or any other gift-giving occasion, you can copy your Wish List link and send it that person. I’ve purchased from both and I’ve found that their prices, selection, and the quality of their packaging are all spectacular. If you like the idea of a Wish List, but you’d like the freedom of listing products from other online retailers, then you’ll want to load the “Wish List” add-on to your browser. 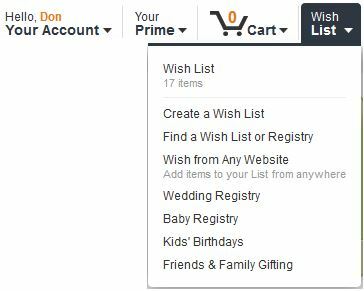 On the left side of your screen, on your Wish List page and under “Wish List Tips”, click on the hyperlink that reads “Add Items to your List from anywhere”. It says anywhere and Amazon isn’t kidding. 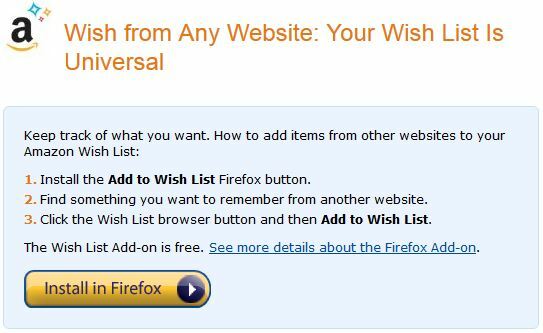 The Wish List add-on can be added to Windows Explorer, Firefox or Google Chrome. A prompt appears with simple instructions on how the “Add to Wish List” button is used. Click on the “Install” button. Once the Wish List add-on is installed, a small Amazon.com icon appears to the left of your address bar. Now it’s time to try the add-on out! Go to one of the websites you frequent for goods and services. Find something that you’ve wanted to purchase for yourself. Once you’ve selected an item, click the Wish List add-on icon. 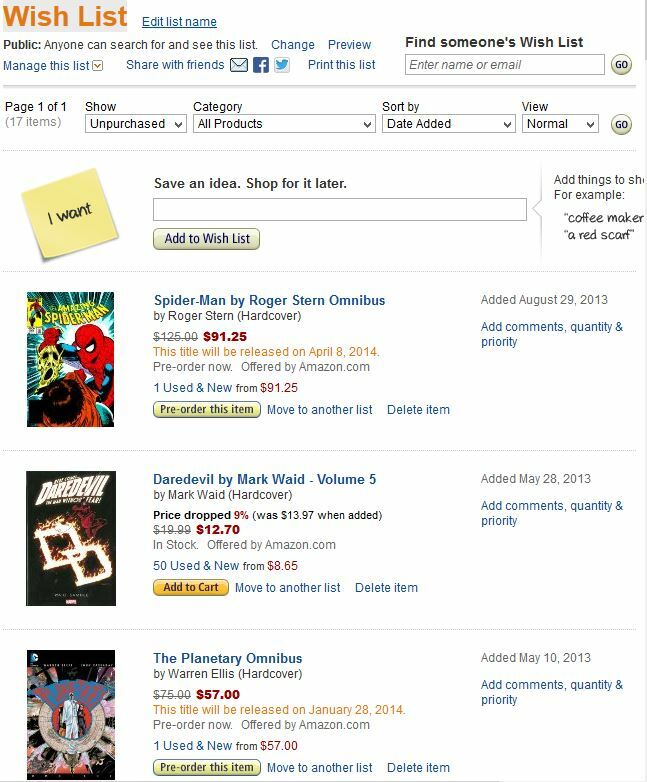 An Amazon Wish List prompt appears, displaying the item that you’ve selected. Click the “Add to Wish List” button to confirm the item. Return to your Amazon.com Wish List and the item you selected is now listed, as is the name of the website from where you would prefer it be purchased. The last thing you want to do is keep items listed on your Wish List after you’ve already purchased them for yourself. Naturally, when you’re out and about, you might find a deal on something that is also on your Wish List. Just remember to remove the item, especially if the possibility of receiving a gift is approaching. On your Wish List, click the “Delete item” hyperlink. A message appears indicating that the item has been removed. You can undo the deletion and also tag it as something you already own (which I do, but I’m not sure why). Finally, while I won’t go through the simple steps, I recommend putting your picture on your Amazon profile so that your friends can easily identify you if they’re searching for your Wish List in secret (in case you have a common name like Liberace Wannamaker or Stephanie Sharknado). Okay, now it’s time to log into your Amazon account and start creating your own personal gift registry. After the holidays roll around you can delight in the fact that you’ll be laying around at home, enjoying your handpicked gifts, while your friends and family are suffering through the mall crowds to return stuff they would have never chosen to buy for themselves.